Besides my love for food, I have another love in my life -- paper goods and stationery. And as such, Lost Crates catered to this relish of mine by initially providing curated subscription service that sends a crate of handpicked paper goods to my door each month ($38 per month plus $5 shipping). How exactly does this service "curate" to your tastes? Through an in-depth, visual survey about your likes/dislikes/preferences, Lost Crates is able to take those survey results and create an originally curated package of goods to fit the given tastes at hand. Later on, Lost Crates diversified its singular offering to a multi-faceted portfolio of other design-inspired goods other than the medium of paper and stationery, including two things that tickle my inner foodie -- housewares and grocery. Lost Crates also permitted frequency options of not just monthly but quarterly as well. 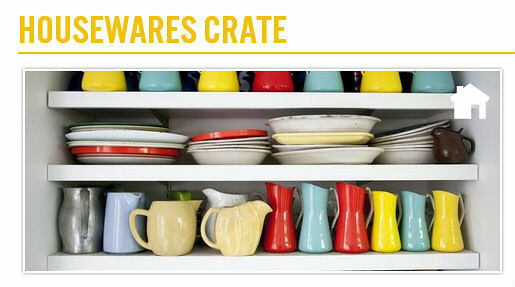 The Housewares crate is for those who wish to bring a little design into their homes, attempting to "spice" it up somehow. Each shipment's items are also aimed to compliment each other. For example, the current theme for this past month's Housewares crate is "Grill and Chill" which included an assortment of grilling tools and a Zoku popsicle maker. The Foodie crate caters to those who take their "love of food to a new level" where "new recipes, cook-offs, and potlucks" add excitement to their lives. 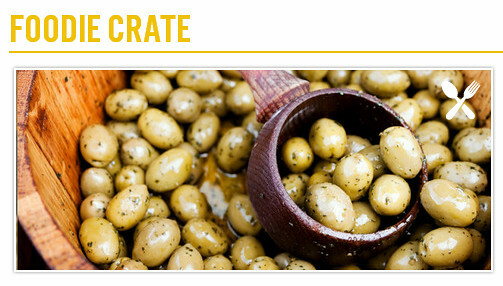 The crates offered will include "foods that they love and the accoutrements to serve them beautifully." Price point: $48 per period (quarter or month) for each Foodie crate, $68 per period (quarter or month) for each Housewares crate, $5 for shipping of each crate.